Steve Jobs is dead. He leaves behind his wife and four children. He is 3 months younger than me which reminds me life is short and how should I live my life! Even billionaires (his worth $8.3+ billion) shed this life and face their Maker. Wikipedia lists his religion as Buddhist. May God have mercy on his soul and on his family. As I have been told, Steve Jobs was also pro-choice )which means pro-murder) and pro-gay marriage, and refused to allow the Manhattan Declaration’s application to be hosted on Apple products. May God have mercy on his soul, but that’s the only one who can. 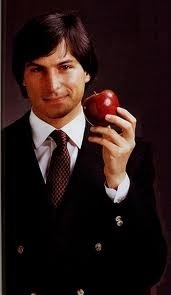 PS, Have you ever wondered why Steve Jobs chose Apple as the name for his company, or the bitten apple as its icon? Is there an unintended reference to Genesis 3? Why do you pray for mercy on the soul of someone who rejected Jesus? Isn’t your god’s plan for the damned righteous and good? And since that is what ultimately matters, wouldn’t it have been better for Steve Jobs if he had been aborted, since such souls are saved, rather than being born into a life where he made the wrong choices, condemning his immortal soul? Paul and Russell, God is Judge. We can’t see into anyone’s heart. Therefore I echo Steve Ray’s sentiment. 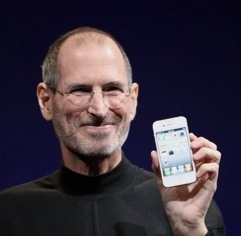 May God have mercy on Steve Job’s soul, for” but by the grace of God, there go I.” And God wills that all come to salvation and the knowledge of Truth (1 Tim 2:4). Someone posted about Steve Job, some colourful wordings and I replied something like “Isn’t he dead”. Yes, may God have mercy on his soul, i mean really really have mercy. Those who reject Christ has no place in heaven. Am I a bigot? Oh Yes, I am and proud of that fact for Christ is a bigot – “I am the way, the truth and the life, no one goes to the Father except through me”.